Today I want to introduce you to a new series of posts that introduces you to the people behind the brands that generously sponsor this site. I'm super thankful for their support and I hope you enjoy learning more about them! How did you get started with your business? How long have you been in business? In 2004, my corporate job moved out of state. This was the nudge I needed to pursue my lifelong dream of running my own business. 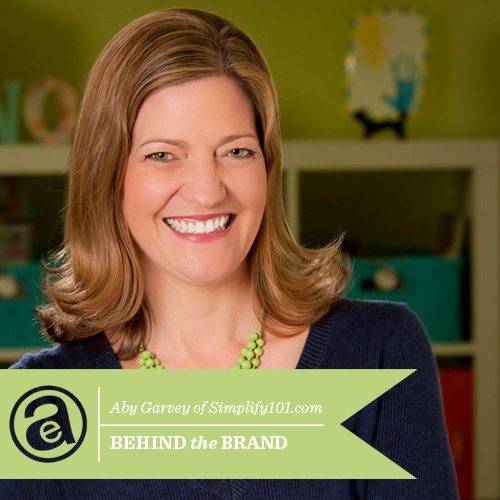 It was then that I started simplify 101, a professional organizing company that marries two of my favorite things—organizing and helping people create meaningful change in their lives. Having the opportunity to help other people and having a positive impact on their lives. Where are you located? What’s your favorite thing about the city you live in? I live in Edwardsville, Illinois, which is located about 30 miles outside of St. Louis, Missouri. I love Edwardsville because it is such a family-oriented community—it’s a great place to raise kids. People—especially people who are pursuing challenging goals, inspirational quotes, and nature / spending time outside. What goodies are on your wish list? 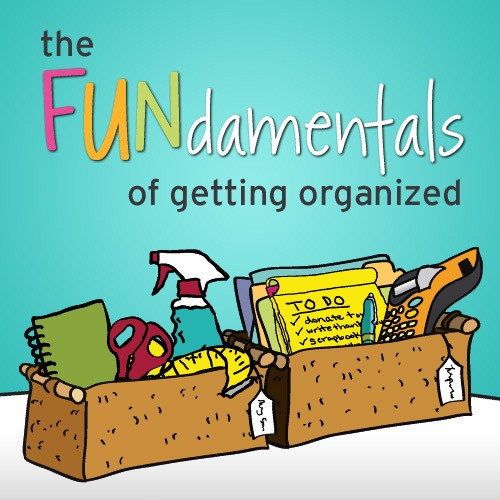 I’m putting the finishing touches on a brand new online workshop called The FUNdamentals of Getting Organized. This online course distills what I’ve learned as a Professional Organizer since 2004 and as an online organizing workshop instructor since 2007, into one fun and effective system for organizing your home. The first sessions begins Thursday, March 21, 2012. Aby Garvey is a creative organizing expert, a pioneer in the online organizing niche, author, blogger, teacher, coach and founder of www.simplify101.com. Behind the Brand is a new series of posts highlighting the people and companies who generously sponsor this site. For more information on sponsor opportunities email Katie. I love Aby! Thanks Ali for highlighting her wonderful organizing business. I have taken several of her online courses over the years and keep coming back for more. 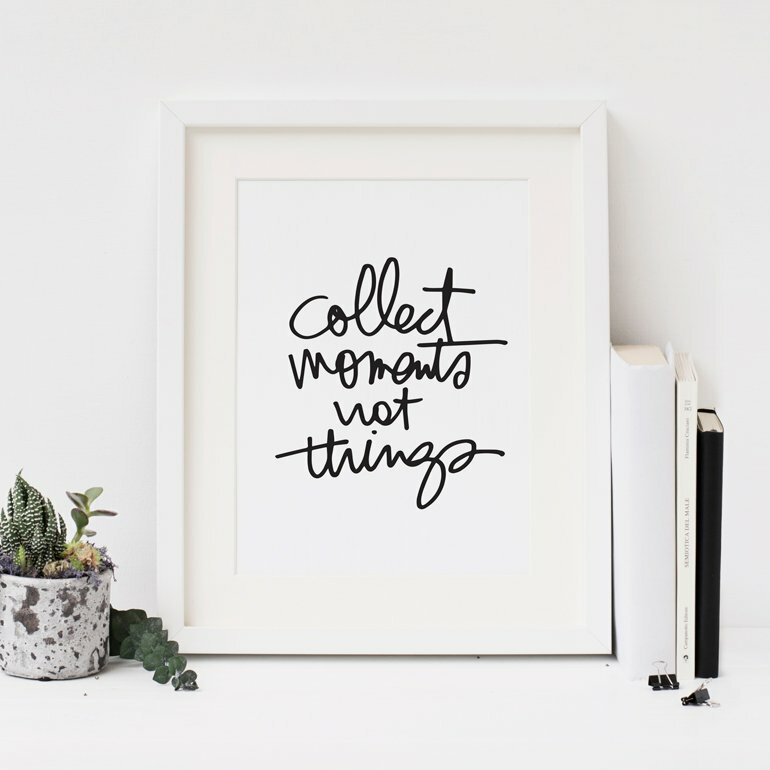 Her online community is the best - cheering each other on through the tough process of decluttering and organizing our homes. Most supportive group of ladies ever and lots of scrapbookers. I have also worked with her one-on-one through coaching by phone and online and created great results towards my home organizing goals. Just so you all know, I don't work for her-ha,ha - I'm just a really satisfied customer! Go Aby! 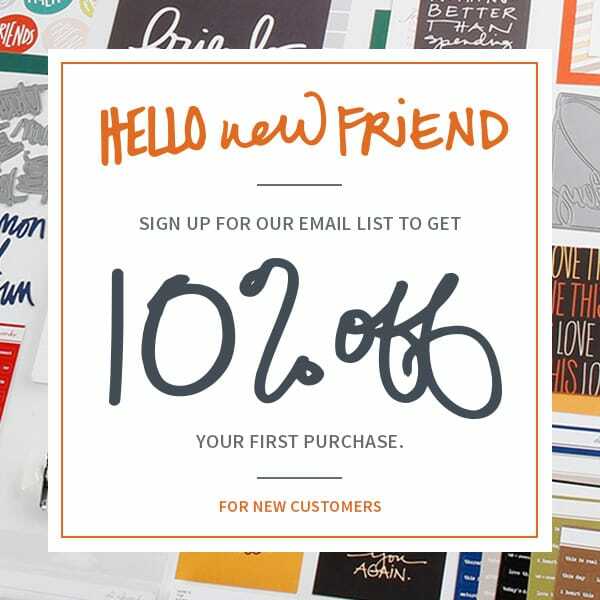 I have just recently discovered Aby and finished my first online class with Simplify101. I am a huge fan of the attention she gives her students and the content. Perhaps my favorite thing about my discovery of Simplify101 is stumbling across Aby's pinterest boards... So inspiring! What a lovely idea for a new blogpost series. And what a great choice as your first pick. 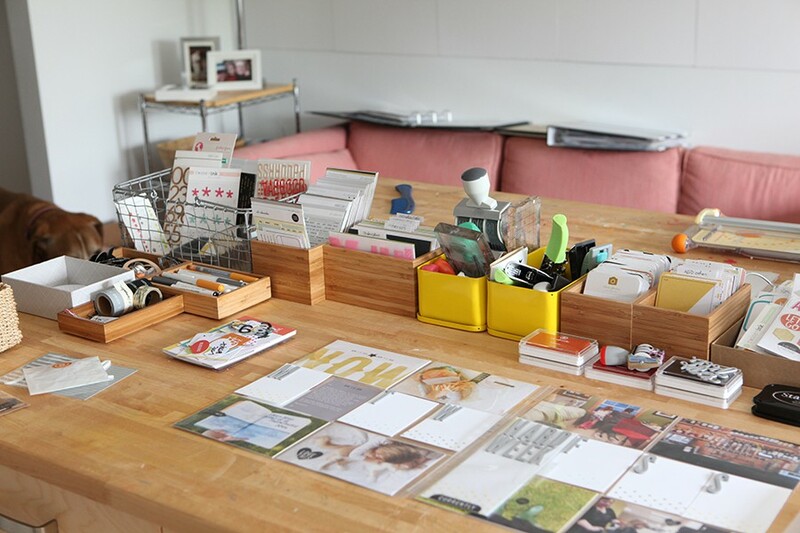 Aby does offer great workshops one of which is organizing your creative space. Obviously this one ties in very well with scrapping. Aby lives in my hometown! Go Tigers! Very cool and interesting new feature! Thanks Ali! Hi Aby, how nice to see you here! I've enjoy both your blog and your organized scrapbooker book which I frequently browse through for inspiration. I was really excited about you the minute I read (in the front of the book) that we have the same alma mater :) go Spartans! I suppose I need to find specialists that have a.
I very much liked reading your website. Really good posts! Please keep posting such excellent cotent. This info is basically good and Ill say will always be useful if we attempt it risk free. So in case you can again it up. That will actually assist us all. Dont post your full name (at least leave out your middle initial), your address, your email address, birth date, or your phone number to any of your social networking profiles. Though most find address from phone number sites prompt for them they arent required, so dont post them. This internet site is amazing. I continuously encounter something new & different right here. Thank you for that data. I am not in reality positive if best methods include emerged nearly things like that, but I am positive that your great work is obviously recognized. I was thinking if you offer any membership to your RSS feeds as I would be very interested. Greetings .. I like your blog just now. I for sure love checking out your posts. I am about to bookmark. Thanks for sharing. Great post. I was reading through this blog continuously and Im most impressed! Very helpful information specifically the last part I was looking for this particular info for a 30 mins. Thank you and good luck. Have a great 2011.